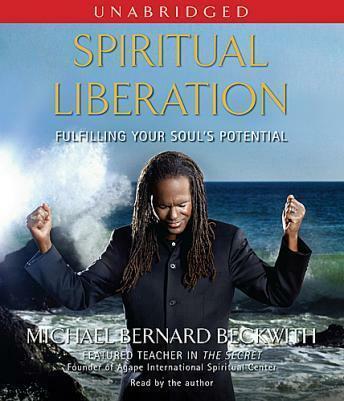 Michael Beckwith teaches that inner spiritual work, not religiosity or dogma, liberates us. He draws on a wide spectrum of ancient wisdom teachers such as Jesus the Christ and Gautama the Buddha; contemporary spiritual luminaries Thich Nhat Hanh, Sri Aurobindo, and the Dalai Lama; and Western contributors to the New Thought tradition of spirituality such as Emmanuel Swedenborg, Walter Russell, and Dr. Howard Thurman to create a profound new belief synthesis. Spiritual Liberation can be included during meditation or prayer. Each chapter includes an affirmation, which distills its core concepts into a sentence or two for the listener to easily practice throughout the day. The core concepts of Beckwith's teachings are cohesively conceived, and convincingly stated, and bring together insights from a range of spiritual paths to form a coherent practice that is neither Eastern nor Western, but spiritually global. Regardless of their belief system, listeners will find it impossible to finish Spiritual Liberation without at least a few 'Aha!' moments.